Your Apple ID is what you use to access a variety of Apple services including the App Store, Apple Music, iCloud, FaceTime, iMessage, and so on and so forth. Because your Apple ID gives you access so many different things, it’s important to remember your password. But we’re all human, and the truth is that sometimes we forget. When this happens, our Apple ID can be disabled. But what does it mean your Apple ID has been disabled? Today we’ll answer this question, and tell you how you can fix it. Part 1. What Does It Mean When Your Apple ID Has Been Disabled? What Does It Mean When Your Apple ID Has Been Disabled? If you receive a message that your Apple ID has been disabled, there are two different possibilities. (1) The first possibility is that you forgot your Apple ID password or the answer to your security questions, and have entered them incorrectly too many times. (2) The second possibility is that someone else has tried to access your Apple ID account, and has failed to do so after several attempts. 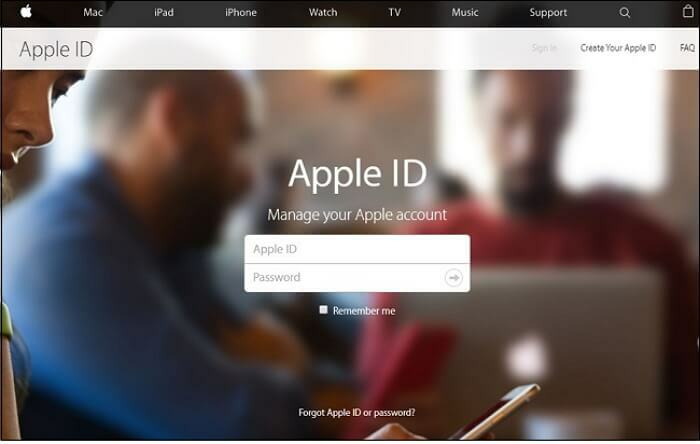 Either way, Apple responds by disabling your ID to ensure security on your account. So what can you do to get back in? Now that we know the answer to the question, “What does it mean that your Apple ID has been disabled?” we can elaborate more on how to fix the problem. If you know your Apple ID and password, and feel as though someone else may have been trying to access your account, you can use an Apple service to re-enable your account (which we will discuss later). But if you have forgotten your password and are locked out due to your own doing, you may need to use a program like iMyFone LockWiper to erase your Apple account and start a new one. iMyFone LockWiper is an easy to use program that can help to unlock your Apple ID if you have forgotten your password, or if you have been locked out due to someone else’s actions. It can help you remove your disabled Apple ID within just minutes with ease. It will save your time and your bucks. Remove any Apple ID from any iDevice without the use of a Passcode. 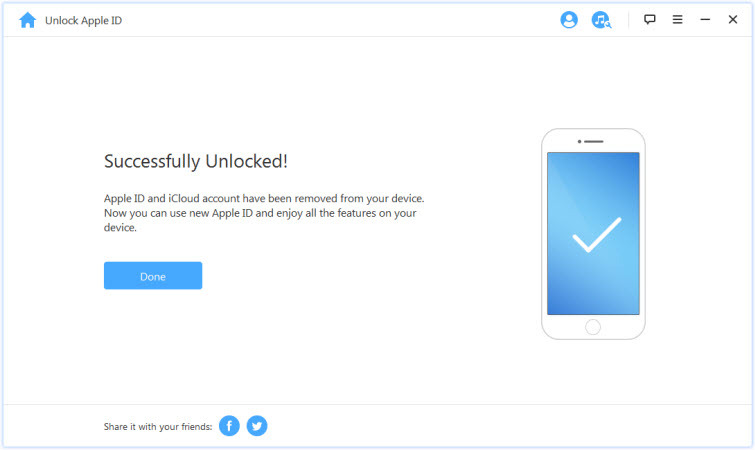 Regain access to your Apple ID/iCloud account after the removal. Enjoy all the iOS features and iCloud services after you have your Apple ID account. It supports all iPhone, iPad, iPod touch of all iOS versions including the latest iOS 12. Step 1. Launch iMyFone LockWiper on your computer and connect your iPhone to it. Step 2. When given the option, select “Unlock Apple ID” and then “Start to Unlock”. Step 3. 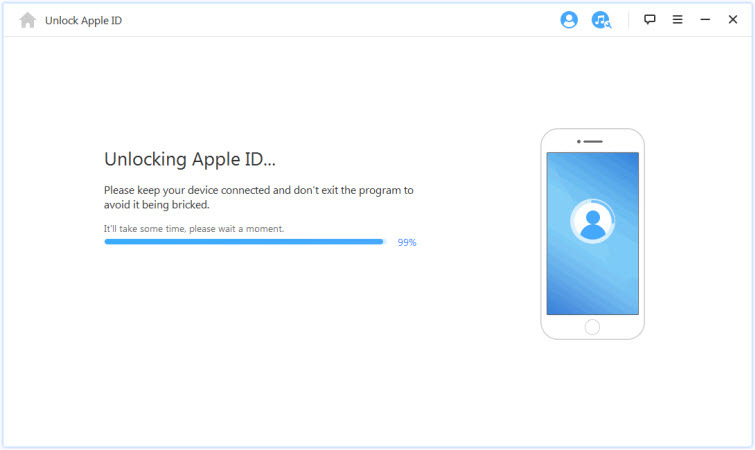 It will start immediately to unlock your Apple ID, please wait a moment. Note: In case Find My iPhone is still enabled, you'll have to reset your device. Follow Settings > General > Reset All Settings and Confirm to Reset all settings. Step 4. 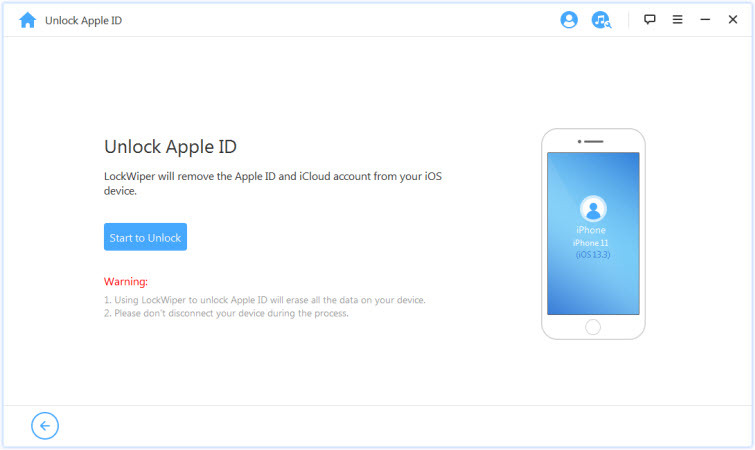 The Apple ID on your device will be removed successfully. Note: Please note that iMyFone LockWiper only supports already activated devices, so please make sure that you can access to your devices before you use the program. Step 1: Go to Appleid.apple.com and click “Forgot Apple ID or Password”. Step 3: Select whether you want to receive an email or answer security questions to reset your password. Step 4: Select continue and follow on screen instructions. So what does it mean your Apple ID has been disabled? It means that you’ve been locked out of your account for security reasons. If you know your Apple ID and password, you can reset your password using an Apple service like Appleid.apple.com, but if you have forgotten your password/security questions, you can use a program like iMyFone LockWiper to remove your Apple ID and start fresh.